Larry Gatlin & the Gatlin Brothers bring their 60th anniversary tour to Houston for one unforgettable evening. 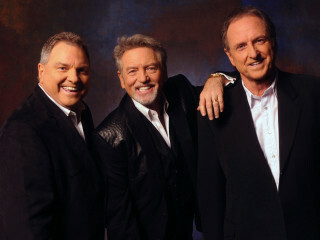 Yep, you heard that correctly — Larry Gatlin & the Gatlin Brothers have been dazzling audiences for SIXTY years. It all began in 1955, when Larry was six, Steve was four and Rudy was two. Since then, the country music superstars have performed on stages across world, and have seen their records top the charts and touch the lives of fans from eight to 80. In addition to the tour, the brothers will soon release a new gospel album on Curb Records, Larry Gatlin & the Gatlin Brothers 60th Anniversary Celebration. This is a ticketed event for the covered seating area. Free tickets are available (4 per person over age 16 while they last) at the Miller Outdoor Theatre box office the day of the performance between the hours of 10:30 am-1 pm. If tickets remain at 1 pm, the box office will re-open one hour before show time to distribute the remaining tickets. As always, open seating on the hill.